Guest will pick up from the hotel and start their Muscat City Tour by visiting Sultan Qaboos Grand Mosque (Masjid), one of the most beautiful architectural piece of work. The mosque was built over a period of 6 years from 1995 to 2001. The main chandelier is made of pure Swarovski crystal and the carpet adorning the large prayer hall was woven by experts, made out of pure Persian silk. The mosque (Masjid) exterior is constructed with quality Rajasthani sandstone and the main halls as well as the small prayer rooms are adorned with the finest Italian Marble. The Mosque (Masjid) is surrounded by 5 minarets, each of which symbolizes the holy five vows taken by every devout Muslim to reinforce his faith in the Almighty. After visiting Grand Mosque, we drive to costal raod to visit Bimmah Sink Hole, it is a spectacular limestone crater created many years ago by a collapsing mountain and filled with blue-green sea water – a real wonder of nature that is definitely worth a look. 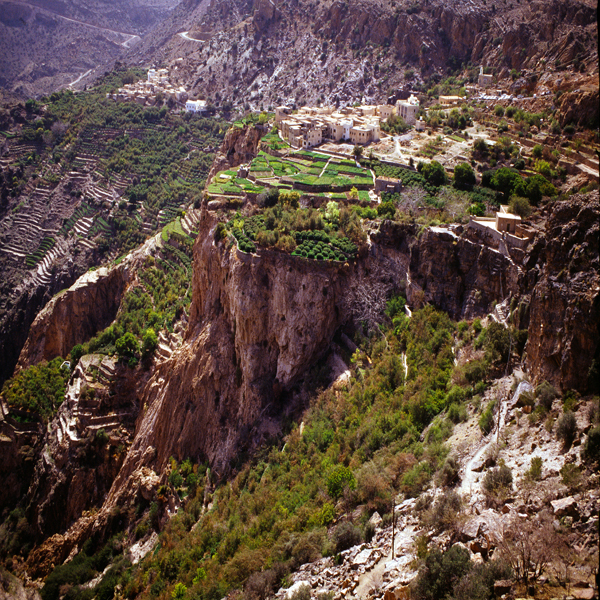 We continue our drive to Wadi Shab; it is literally means ‘Ravine between the cliffs’. The green pools and abundant shade give Wadishab an almost ethereal aura. (Photo Stop Only) Next stop will be Wadi Tiwi. It is spread over an area of 36 kilometers (22.37 miles) at the foot of the mountain village of Mibam. It is a fertile wadi that meanders through a number of agricultural villages which grow dates and bananas overlooking the majestic mountains. You can also see the valley below, and the azure waters of the sea from some elevated locations. Picnic lunch Box will be provide, we continue our drive to visit Sur; it is an ideal location in the northeast province of Sharquia and is a seafaring town, a fishing village and a trading port all in one. The highlight of the town is the dhow builder’s yard on the coast just beyond the town. Sur started trading activities with the African coast as early as the 16th century A.D. a drive through its labyrinthine streets reveals many fine old houses with caved doors, arabesque windows and other intricate details. Guest will pick up from the hotel and will start the tour by visiting Muttrah Souq, one of the most popular souqs in the Middle East. Take a walk in its labyrinthine alleyways beckoning with a myriad of merchandise, from imported fabrics to exotic Oriental spices, perfumes and richly handcrafted Artifacts. 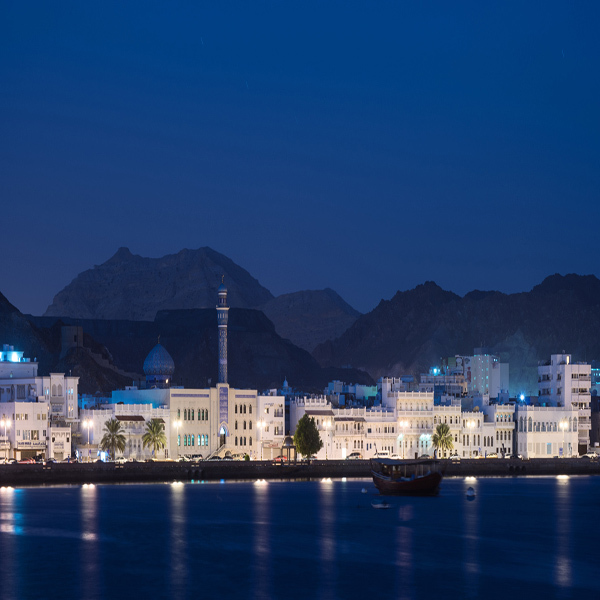 A visit to this frenetic, pulsating hub of Muscat’s old quarter makes for a delightful experience. Next, guest will be taken for a visit to the magnificent Al Alam Palace, the official residence of His Majesty Sultan Qaboos Bin Said the ruler of Oman. The palace is an architectural marvel for both its design and its location between the twin Portuguese forts Mirani and Jalali (A brief photograph stop from outside only).Any one of the Muscat Museum, lunch will be at local restaurant, after the lucnch, guest will be taken to Marina Al Bandar for Sunset Dhow Cruise Enjoy the many scenes that reflect Omani history and Portuguese architecture around Old Muscat. Watch the sun setting behind the spectacular golden mountain back drop of Muscat city from the sea. Just as the water turn gold, we retrace our journey towards the marina with lots of memories for ever. Your sunset cruise is a fabulous way to end the day, after the tour back to hotel. 08:00 hrs – Today, guest will pick up from the hotel and drive to Wadi Bani Khalid, for an easy walk along the riverbed with ample time to cool down in the crystal clear waters of the rock pools. It is the best-known wadi of the Sharqiyah region. Its stream mountains a constant flow of water throughout the year. Large pools of water and boulders are scattered along the course of the wadi. 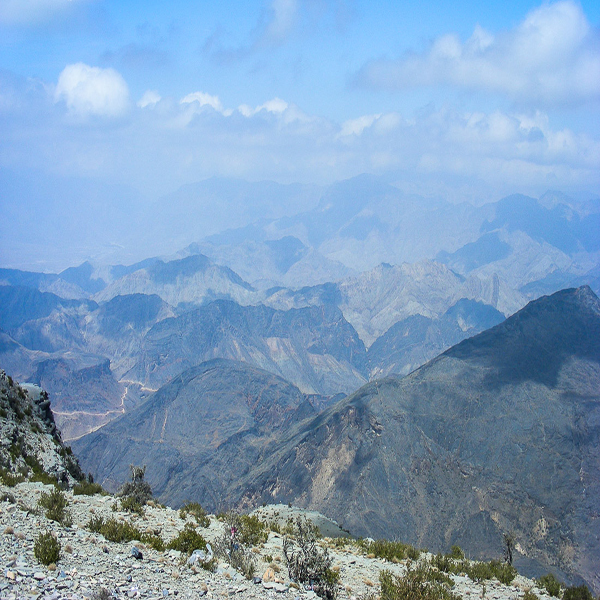 As a geographical area, WadiBani Khalid covers a large swathe of low land and mountains. Caves form some of the interesting features of this wadi. These include KahfMaqal which is one of the Sultanate's underground chambers. Springs of water are also common in this wadi. 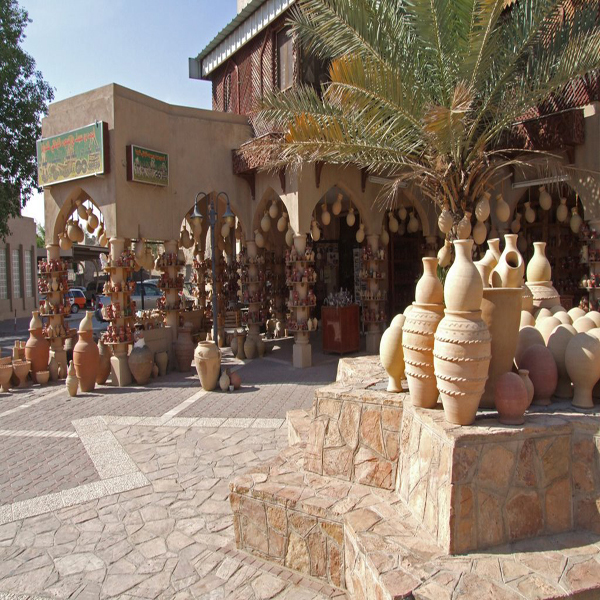 Lunch will be at the local restaurant, after the lunch, We will continue our drive to Wahiba Sand. 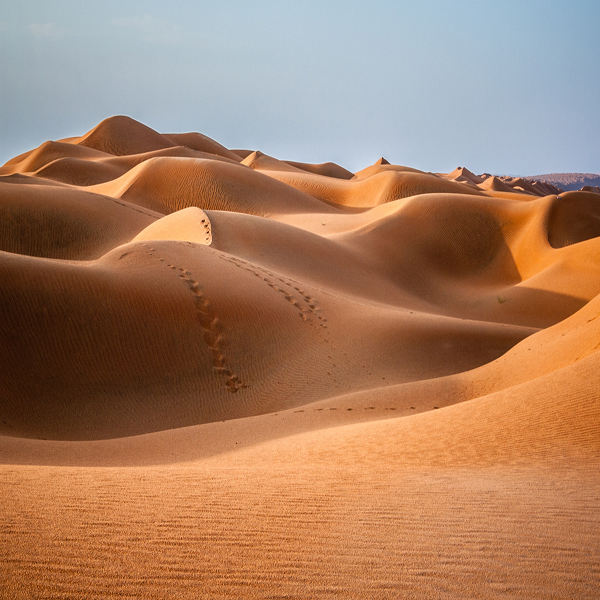 (Dune bashing, enjoying the sun set view and Will visit Bedouin Family will have Traditional Omani coffee & Dates with them) The Wahiba Sands or Ramlat al-Wahiba (also called Sharqiya Sands) is a region of desert in Oman. The region is named for the Wahiba tribe. The area is defined by a boundary of 180 kilometers (110 mi) north to south and 80 kilometers (50 mi) east to west, with an area of 12,500 square kilometers (4,800 sq mi). 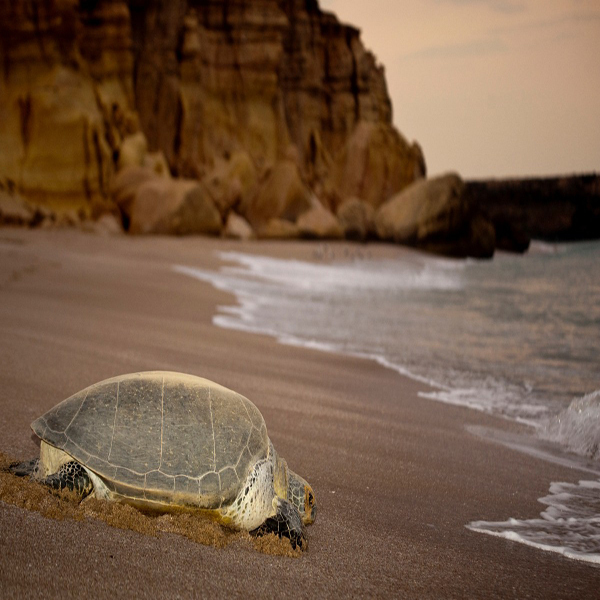 The desert has been of scientific interest since a 1986 expedition by the royal geographical societydocumented the diversity of the terrain, the flora and fauna, noting 16,000 invertebrates as well as 200 species of other wildlife, including avifauna. They also documented 150 species of native flora. Dinner at the camp.